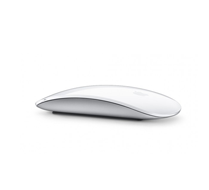 Apple Magic Mouse at best price in India - is unlike any other mouse youʼve ever used. The Multi-Touch surface lets you use gestures to swipe through photos and scroll down web pages. And the entire mouse is the button,so you can click anywhere.